Huawei’s European arm head says that the company will also offer on-device AI with NPU on the new Kirin processor. Walter Ji, President, Huawei Western Europe Consumer Business Group has made public the company’s plan for the coming year. The executive spoke to a German publication and shared the roadmap of what the Chinese conglomerate plans to do in 2019. Ji says that the company would launch a foldable smartphone, a smartphone with a quad-camera setup on the back that will feature 10x lossless zoom, 5G-enabled phones and AI on Kirin processor. Huawei is also reportedly working to open its huge flagship stores to dethrone Samsung from the top spot. Ji said that the company wants to innovate and would probably launch a smartphone with a rear quad-camera setup. Although Samsung has already launched the Galaxy A9 with four cameras on the back, Huawei wants to go further. “Next year we will definitely see more innovation in the camera, and now we have three, imagine four for next year. Even more zoom will come. Three or five times the zoom is not enough, ten times the zoom in consistent quality with the smartphone, this is unique! In these areas, we research, and there we could have one or the other surprise for you,” AndroidPit quoted ji as saying. Huawei has already said that it would launch a folding smartphone with a flexible display and 5G support in the first half of next year. The executive also goes on to say that Huawei may not launch entry-level smartphones. 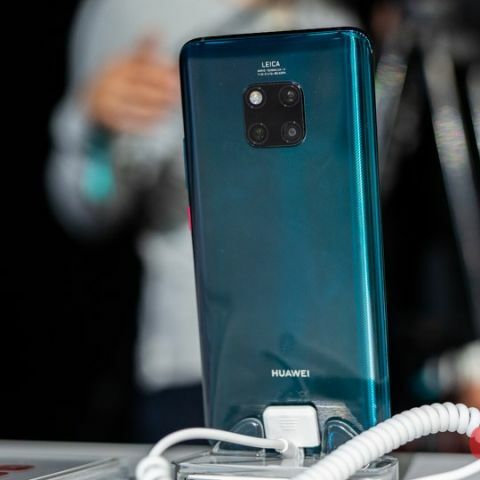 “In the entry-level class, you can not guarantee a good user experience, which is not good for the Huawei brand,” Ji added. The executive says that since 5G will not available everywhere in the foreseeable future, Artificial Intelligence cannot be outsourced to the cloud. To tackle this problem, Huawei may develop a Kirin processor that will provide on-device AI with the NPU, and develop Cloud AI in parallel to make it available to users at any time. Ji says that AI is an important bridge between the increasingly complex devices and the ever-simpler operation that users desire. He says that AI is also an important part of the camera and the battery life should rise with its help. Huawei also wants to open large flagship stores to make the brand more visible. Ji says that around 10-20 stores will be opened in 2019 and the first one is being planned to be functional in Hamburg in the first half of 2019. Apart from smartphones, tablets and wearables, Huawei will continue to expand its efforts on the PC and laptops. “The PC is an important building block for us which we will continue to pursue,” he said. need a good dual sim smartphone with excellent battery and camera.